This hotel is conveniently located in a business park just off the freeway exit. 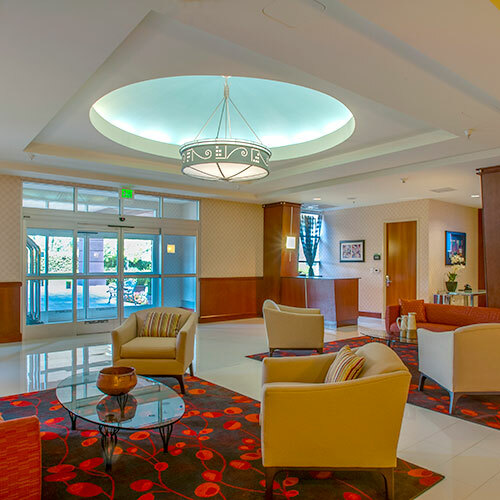 Guests will find a welcoming lobby and lounge area as well as spacious guest rooms featuring oversize headboards. Smoke free premises. 210 units. 8 stories, interior corridors. Accessibility (Call). US 101 exit Sierra Point Pkwy, just e. 5000 Sierra Point Pkwy 94005.
hot tub, trails, exercise room.